Petite Tai earrings with cubic zirconia detailing. Eye shape with contrast pupil accent. Post closure. These are adorable! A simple everyday earring. The are the cutest little earrings. 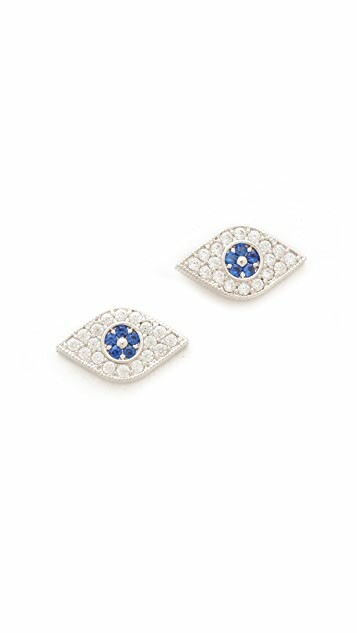 Was deciding between these and the other Tai evil eye earrings that are gold but decided that these have better details + silver matches my wardrobe better. Love them, so sparkly and fun! I think the price was right. These earrings are perfect for someone with multiple piercings. They are small and really cute. The stones do not look cheap at all, although the blue stone is very tiny and probably not as prominent as pictured. Overall, I would recommend. These studs are not too flashy but still have the potential to catch someone's eye. I have gotten a lot of compliments on them. 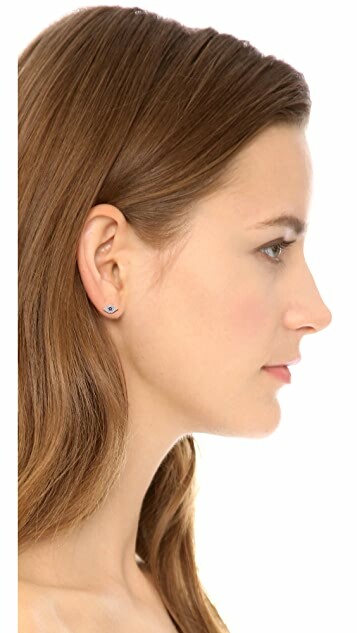 I recommend these to anyone who is looking for a subtle yet striking pair of studs.